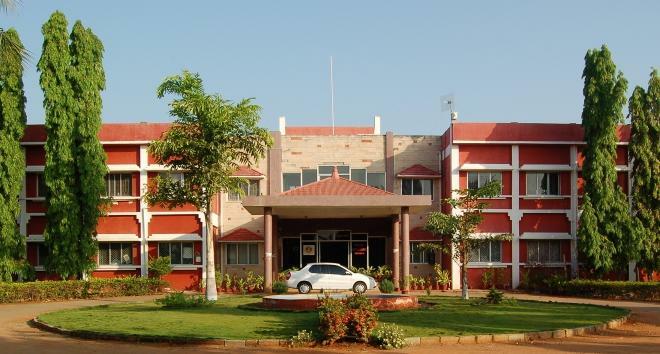 Anbil Dharmalingam Agricultural College and Research Institute is the fourth Agricultural College established under the Tamil Nadu Agricultural University. The College was originally started at Kumulur, near Lalgudi in Tiruchirappalli district in the year 1989 and shifted to the present campus Navalur Kuttappattu village, 14 kilometre from Tiruchirappalli town in 1992. The present location was started with ICAR funding and the Agricultural Research Station was started with TNAU funding. The centre was named as Kumaraperumal Farm Science Centre due to the liberal donation of Rs.2.2 lakhs by Th.K.P.Kaliappapillai the son of Mr. Kumaraperumal. In 1980, it was upgraded as Soil Salinity Research Centre by National Agricultural Research Project funding to conduct research on saline soil which is unique in this area. This is one of the pioneering centre in India on problem soil, particularly salt affected soils.